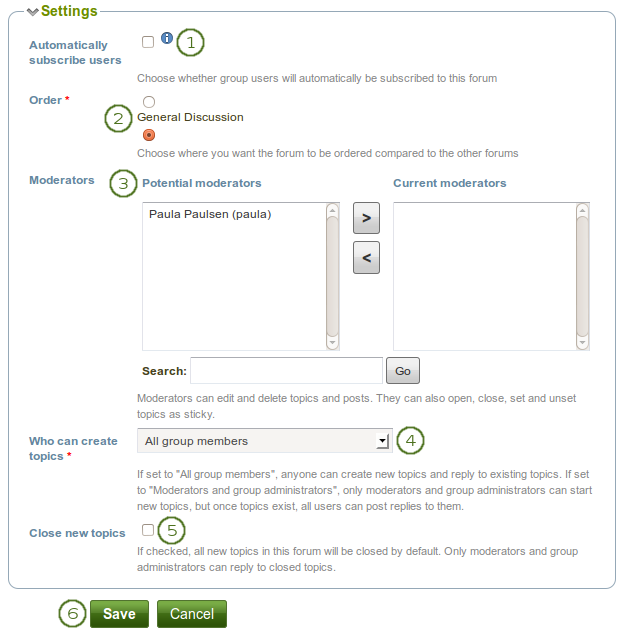 Indent forum names and radio buttons in "Forum settings"
When you set up a new forum and click into the "Forum settings", you are supposed to be able to use the radio buttons provided to decide where to put the forum in relation to the existing ones. However, the alignment is off (see screenshot). Right now in Mahara 15.10 it's very hard to know what this setting is actually about. Actually the issue here is not (only) css related but is a coding error. The description text 'Choose where you want the forum to be ordered compared to the other forums' is a bit confusing.